Facing Death is a unique handbook for educators, healthcare professionals and counselors. It uses materials from the visual arts, excerpts from poetry, fiction, drama, and examples from popular culture to sensitize the reader to important, universal issues confronting the dying, and those responsible for their care. There is a profoundly human quality to Bertman's work that makes her use of even well known paintings, photographs, and other images fresh and to the point. Her words help us to understand what the images do for us and for our patients. A cherished book that captures the essence of palliative care--to be revisited and reread often. 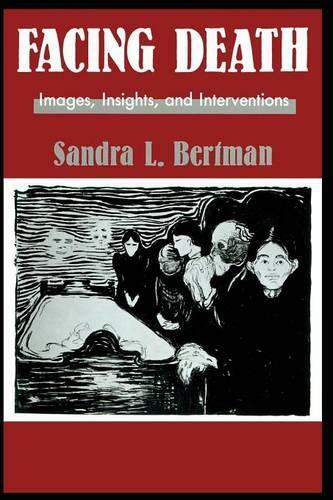 In her writings, personal appearances, and media creations, Bertman lays everything on the line. She does not hide behind generalizations, cliches or statistics. Her audiences know that they are in contact with somebody who faces the real issues honestly, in detail, and without simplification. An excellent teaching tool...especially recommended for health care professionals and counselors who work with terminally ill patients and people who are facing imminent death. It is hard to know what to praise the most. The writing is perceptive, caring, insightful, helpful, and challenging. The illustrations, poems, quotations, and paintings afford insights into terminal illness and death that textbooks and lectures never could on their own. The three sections of the book are uniformly superb.